THE ULTIMATE GUITAR COURSE PACKAGE: 20 hours of guitar lessons with the London Guitar Institute! 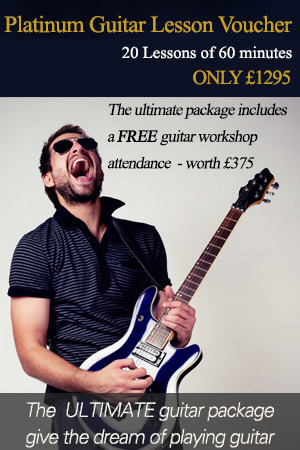 FREE guitar seminar attendance worth – £375! SIMPLY the best gift package available for guitar lessons in London!